It looks like the bag made from recycled bags is done already. 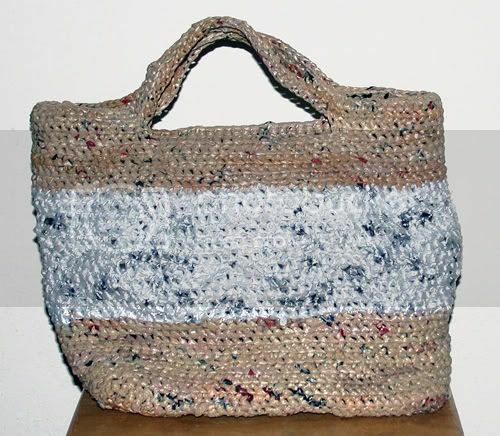 On Sunday, we posted how to make plastic yarn from bags. Now, our instructor has finished the bag from bags. I also found out that she has an Etsy store, Chloe’s Corner. Thanks for including a shot of the finished bag. It’s great! I’m going to check out her Etsy store. I loved your article about how to make the yarn too – I posted a mention of it to my blog. I’m definitely going to do this myself!